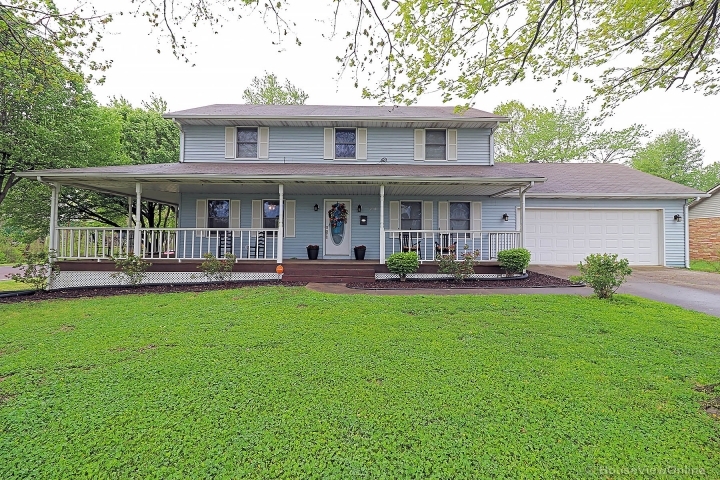 Sits atop hill overlooking 73 acres m/l. Mature trees. Looks over 3-4 acre pond. Watch your horses and cattle and geese on pond. 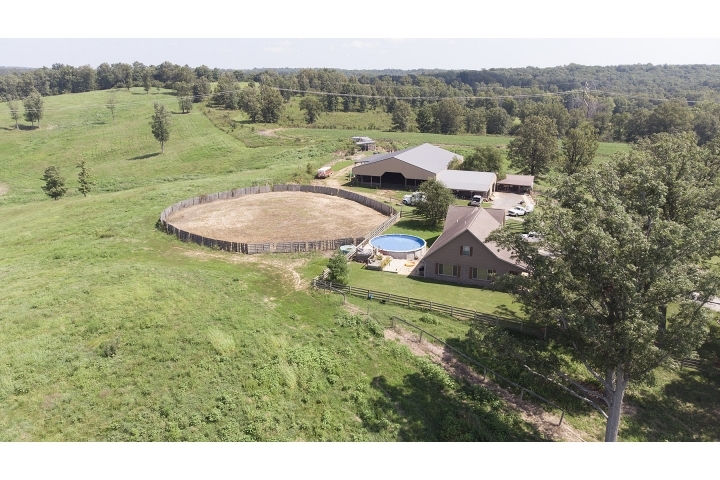 Beautiful views; very private; huge barn for cows and horses and has an indoor riding arena. Another building (could be man cave) Home has 3 bedrooms, 2 full baths and a half bath. Another room over garage could be office, playroom or whatever you would like.